Situated in south of the province of Badajoz, Llerena lies at the foot of the San Miguel mountain range. Owing to its prominence as a political and administrative centre from the 15th to the 17th centuries, it attracted numerous artists, thus converting it into a focus of artistic activity of prime importance. Indeed, such is the case that it became known as "Extremadura's little Athens". 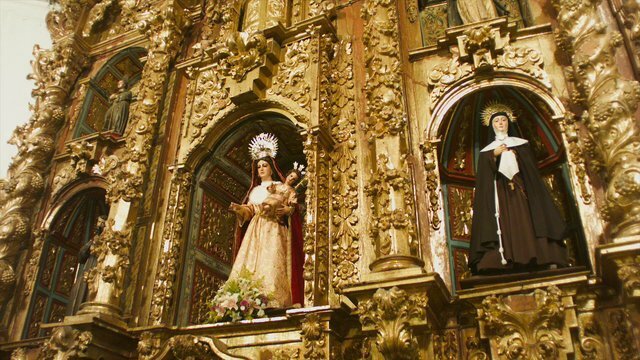 If you feel like discovering its architectural heritage, the Church of Nuestra Señora de la Granada is one of the best places from which to start. Of this originally Gothic-Mudejar church, only the first two sections of the tower, the Gothic-Renaissance Chapel of the Zapata and the wholly Renaissance Prior's chapel have come down to us today. The Parish Church of Santiago Apóstol is another of the town's most outstanding buildings. Hispanic-Flemish in style, it was built upon the order of Grand Master of the Order of St. James, Don Alonso de Cárdenas, to house his remains. Llerena was originally home to numerous convents, but today the only one still functioning as such is the Convent of Santa Clara. If you happen to pass by there, don't miss the chance of tasting the so-called "corazones de las Monjas de Llerena" (hearts of the Nuns of Llerena), traditional pastries made by the nuns there. There were seven hospitals in Llerena. Today, you can still see the Hospital of San Juan de Dios, the façade of which contains a touch of the Hispano-American style and the Hospital of Santa Catalina, an old synagogue. Don't miss out on the ancestral homes with their coats of arms that have been preserved in the town, not to mention the palaces, such as the Palacio Maestral, the Palacio Episcopal and the Palacio de los Zapata. The gateway, Puerta de Montemolín, is another must. It is the only surviving one of four that were to be found in Llerena. In addition to its artistic heritage, Llerena has numerous parks and open spaces that will no doubt delight visitors. However, if it's the great outdoors you're after, you have the municipal estate, La Morolla, a mere nine kilometres away. There you'll find a wide selection of species native to southern Extremadura. Why not taste some of our fine wines before ending your visit to the town. Llerena is very proud of the fact that the first wine harvested in the Americas after their discovery was trodden in Lima in 1560 by a native of Llerena, Pedro López de Cazalla, secretary to Francisco Pizarro.